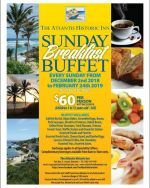 And in addition to its famous Sunday Buffet Lunch served every Sunday, they now have, on the second and last Sunday of every month, a special Sunday Buffet Breakfast. Available every Sunday until Feb 24th 2019. 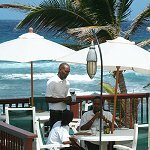 Prices includes VAT and is subject to 10% service charge and the 2.5% Tourism Product Development Levy. 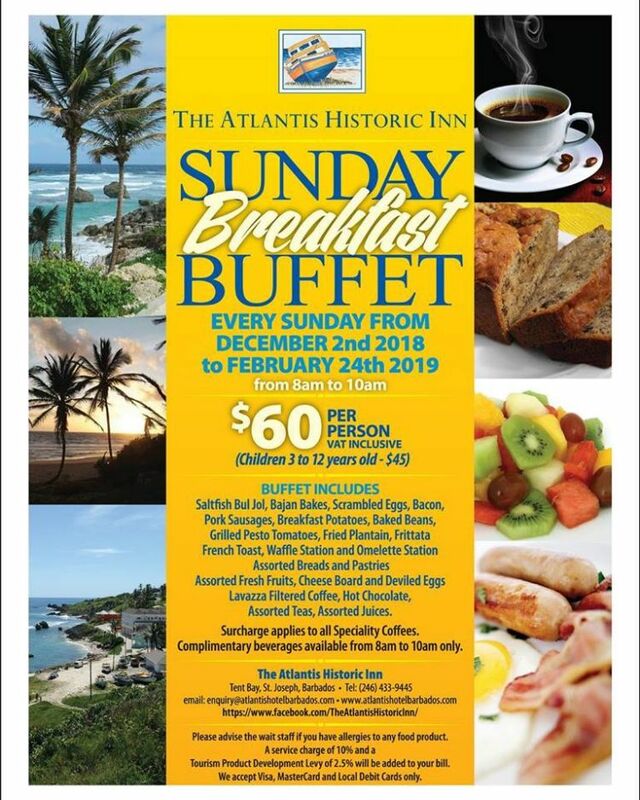 Please note that reservations can be made for 8:00am, 8:30am, or 9:00am and a credit card deposit is required for all reservations of 12 persons or more to be confirmed.